The organ is based on late 17th century English chamber organs, with mechanical parts and keys based on the mid 18th century chamber organ of Calke Abbey in Derbyshire. The compass is C – d³, with four available pitches. The pipes have tuning slides, for different pitches and tuning systems. 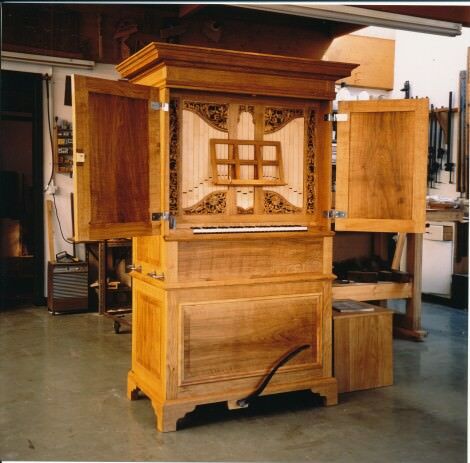 The case front is a dummy based on the Galpin organ at the East end of Canterbury Cathedral. There is a foot pedal for raising wind, as well as a separate blower.